Learn how to set up wordpress step-by-step from start to finish with the 68 minutes of my over the shoulder wordpress video series. You end tearing your hair out. Sure, you can get tutorials on sites like YouTube. But you have to know what you’re looking for and then hope that the videos show you something close to the current version of WordPress. Not a version or two ago where the menus and options were different. Now you can get over 68 minutes of “over my shoulder” videos that take you through installing WordPress from start to finish. Introducing… How To Setup WordPress! Video 1 takes you through the pre-installation process of choosing a user name that isn’t the default “admin” – which is loved by hackers everywhere as it makes their life so much easier. It also shows you where to get a completely random password generated that will keep your site secure. Video 2 has two versions. One for installing WordPress using Fantastico and the other using Softaculous, the two most popular “one click” installation routines used by most web hosts. Video 3 shows you how to update anything that the auto-install has missed. Automatic installation routines are often behind the time with their releases and this video shows you what to do when this happens. It also shows you all the changes that you need to make in the default WordPress installation in order to keep things neat and tidy, ready for when you start posting. Video 4 continues with some more settings changes and also talks about the initial appearance of your new WordPress blog and removing some of the unnecessary widgets that are installed by default. Video 5 goes through the installation of the 9 plugins that I automatically add to every new WordPress installation. Everything from a contact form through to Yoast’s SEO plugin and lots of others as well. Videos 6, 7 and 8 show you in detail how to configure the plugins so that your site operates at its best. Each of the plugins is covered in turn and you’re shown where to find the settings, which ones to change and which ones to leave alone. If you’re supporting customers on their WordPress installations, the last 4 videos will save you lots of time and effort! 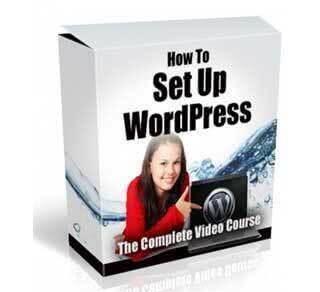 Videos 9 and 10 show you how to make a post in WordPress. Including adding a picture and a “more” line so that the whole post isn’t treated as duplicate content. Video 11 does the same but for WordPress pages instead. It also explains the difference between posts and pages, what you’d use each one for, how to change their order in the WordPress menus and how to remove pages from the menus without removing them from your site. Video 12 gives an overview of WordPress themes, where you or your clients can find them and how to install a new theme. In total, these videos run for over 68 minutes of detailed, up-to-date instruction. They are split into individual videos so that you don’t have to remember where a particular part of the training was in an hour long video – if you’ve ever tried to scroll through a video to find the right place, you’ll know this is close to impossible to do. There’s also a PDF which gives you the names of the plugins used so that you don’t have to take notes during the videos. So click the buy button now!